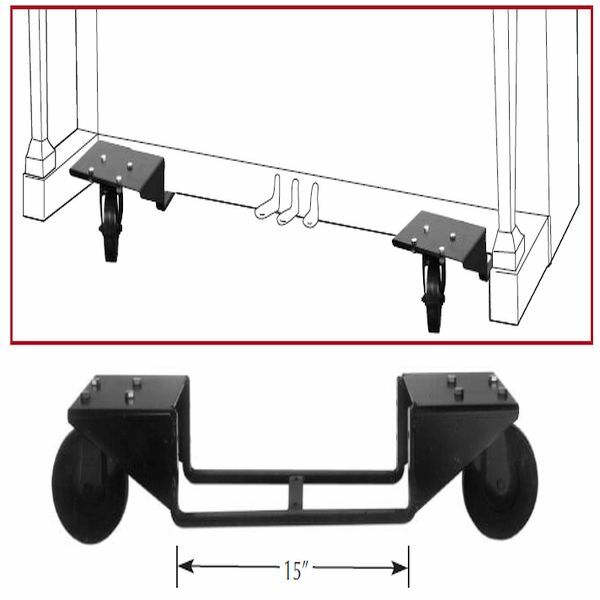 Heavy steel twin dollies with 5" diameter ball bearing swivel casters, designed for large studio pianos, full sized uprights and school pianos. They can be used on any vertical piano whose bottom panel measures less than 14 1/2" in depth. 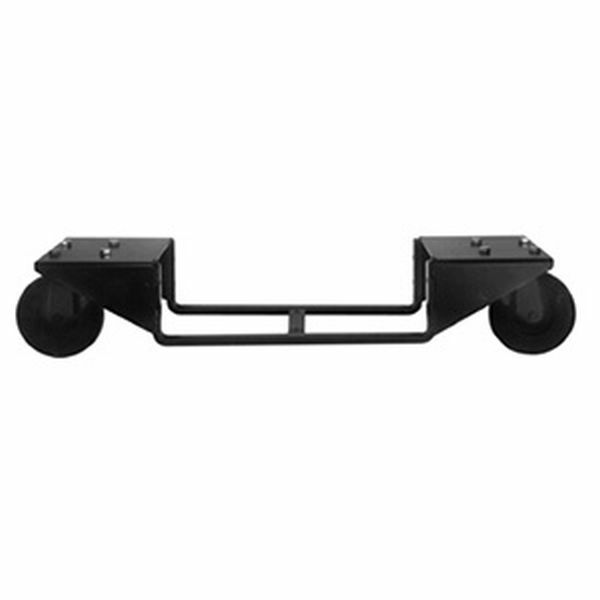 These dollies are exceptionally good for any bumpy or rough moving surface such as carpets. Only 7" is added to the overall width so they are excellent when you encounter a narrow door way. Screw holes on both sides of the bottom braces are used for securing the piano to the dolly. Piano is raised only 3/4" off the floor. Weight - 44 lbs per pair. Measures 28" long x 9" wide and finished in Black. Items were shipped quickly and fit the piano perfectly. They have been installed and the piano is wonderfully smooth to roll around our music building!! Dolly fits fine on Yamaha upright. Important to attach with screws as recommended; otherwise it will "rock" a little. These fantastic piano dollies help the piano to roll much more easily. I recommend this product yo everyone!! These dollies were super easy to install. My pastor and I did it together in a matter of minutes. Thanks. Makes pianos very mobile. Heavy duty product.